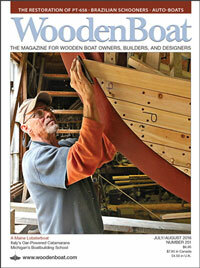 WoodenBoat magazine No. 251 (July/August 2016) includes an article on PT-658, a 78′ Higgins motor torpedo boat built for the U.S. Navy during World War II. A group of PT Boat veterans banded together to restore her between 1995 and 2005, and the boat is now fully functional and afloat as a museum ship in Portland Oregon. 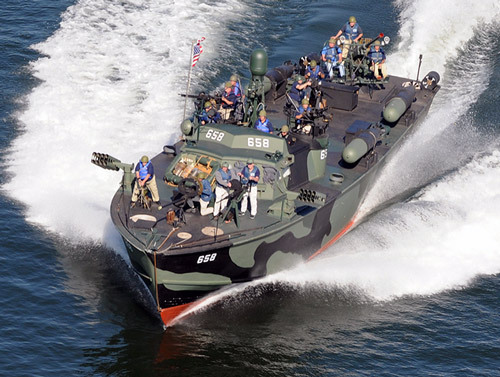 Powered by three working 1,850-hp Packard V-12 gasoline engines, PT-658 is today the only fully operational World War II-era PT Boat. The following is a list of resources for those who wish to explore PT boats in more depth. The PT Boat Museum, Battleship Cove, Fall River, Massachusetts; www.ptboats.org. Two fully restored boats on static display. At Close Quarters: PT Boats in the United States Navy, by Robert J. Bulkley, Military Bookshop. An extensive history of the craft, crews and operations in World War II. They Were Expendable, by W.L. White, Naval Institute Press. This best-seller about Douglas MacArthur’s escape from the Philippines inspired the John Ford/John Wayne movie. PT–109, by John F. Kennedy, William Morrow. The president at war in the Solomon Islands. “Design and Development of the PTs,” by Jonathan Klopman. 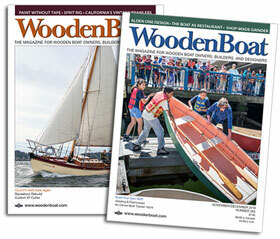 WoodenBoat No. 129, March/April 1996. McHale’s Navy. The much-loved American sitcom about PT-73 in the South Pacific, starring Ernest Borgnine; it aired 138 half-hour episodes in the 1960s. The website www.pt103.com is a valuable resource site for models and historians. There are links to detailed plans for both Elco and Higgins boats. Fleet Obsolete; www.fleetobsolete.org. Four PT-boats (the largest collection of survivors) in various stages of disrepair and restoration at Kingston, New York. Some are for sale. Devil Boat: The Saga of PT–658. A DVD by Timeless Media Group.